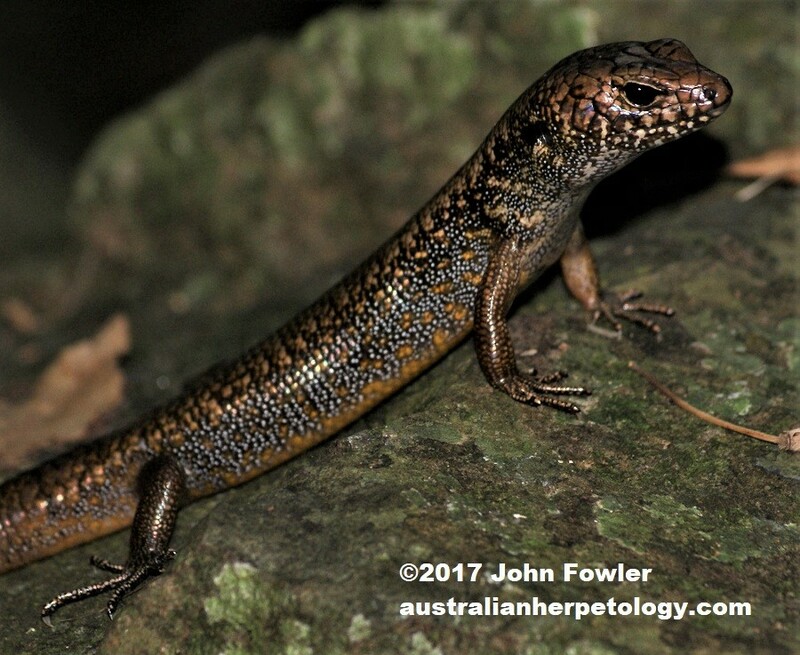 This Murray's Skink Karma murrayi was found at Dorrigo National Park, NSW. This species was extremely common in the area basking on rocks and logs, and often allowed us to approach them to take photos without running away. 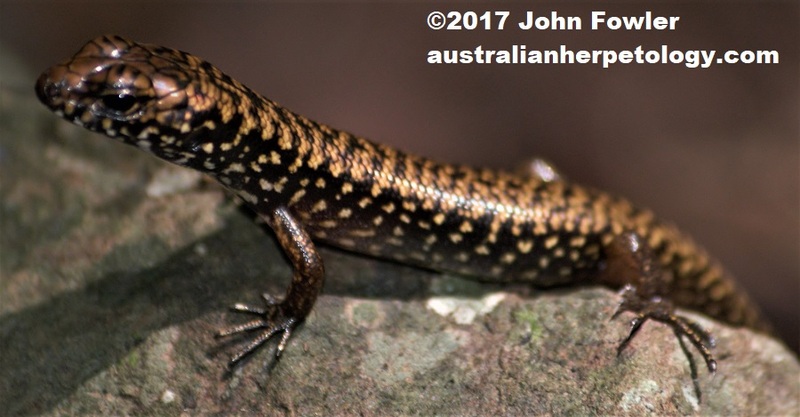 This baby Murray's Skink Karma murrayi was found at Crystal Shower Falls, Dorrigo, NSW. - the pattern changes drastically as the lizard grows! 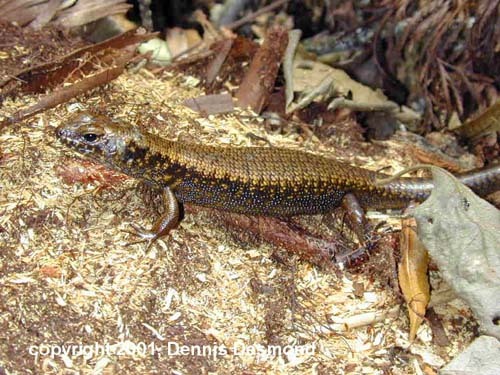 Murray's Skink Karma murrayi is often found in small colonies amongst rocks or rotten logs. Females may give birth to up to 5 live young.